In high-school, English and Literature classes revolved around the Romantics Era of Art History and the works of Jane Austin, which I found incredibly boring. I don’t have a problem with The Romantics Era per say, encouraging people to create art is a positive thing, I just despise the way some of the artists have been glorified despite their personality and bad choices. The World does not need anymore Lord Byron’s, we have plenty enough of them already. I also think the Romantic Era is responsible for the prevalent terrible stereotypes and biases the modern world of Art continues to face. There’s also the fact that while most of my friends love Jane Austin, I honestly can’t stand her, I only got half-way through Sense and Sensibility, though I do thoroughly enjoy Jane Austin Movie Adaptations and yes, I will defend that! *cowers behind desk at the thought of the Pending Doom the Jane Austin Fan-club will now be sending* Besides, who doesn’t enjoy watching movies staring Alan Rickman? So, if Classic Literature of the Western World didn’t inspire me, what did? Well, while it could be argued that I watched FAR TOO much television as a child, if I had to pick favorites, I’d have to say that Sailor Moon and Monkey Magic are my favorite childhood shows, and yes I will defend that! So it was only a matter of time before I became a massive fan of Wuxia Films and Jackie Chan. 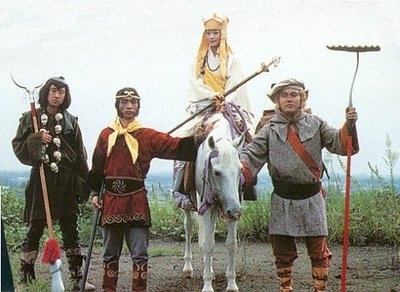 It might seem strange for a Fantasy Writer to develop an interest in Wuxia and Martial Arts films, but when you examine them closely, they’re not so different and while I want to point out that there are so many Amazing actors involved in Wuxia films (such as Michelle Yeoh), however Jackie Chan stands out for me. 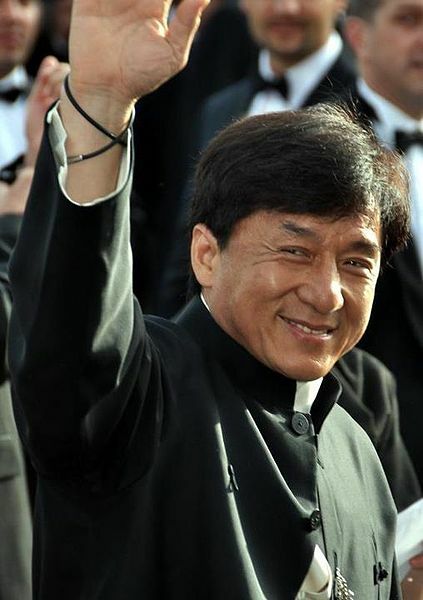 One of those reasons is that in the beginning of his career, a lot of directors tried to mold him into another Bruce Lee-Replicator and discouraged him from making Kung-Fu comedies, however Jackie Chan didn’t let that stop him, he persevered and eventually became a critical and commercial success by his own merit. Jackie Chan is also very honest about his involvement in Hollywood movies such as the Rush Hour trilogy and Shanghai movies. He gets involved in these projects, makes an enormous amount money, then goes home to Hong Kong and makes the movies he wants to make. I can’t help but admire him for that.